LeadsCouncil was started by Jay Weintraub who is also the founder of LeadsCon.com. The largest lead generation conference on the planet. Is “affiliate marketing” a worthwhile channel to test for me? What networks or publishers should I work with? What are the major pitfalls that I should try to avoid? 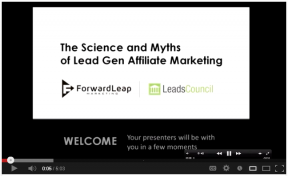 How do I successfully leverage the affiliate marketing channel to generate more quality leads? A big thanks to Michael Ferree for organizing and hosting such a great webinar. Please take a moment and check out this short “members only” clip. P.S. Let us know if you have any questions in the comments section below.